In today’s world as a session bass player, you need to have a few basses in your arsenal to accommodate the demand for different bass tones and styles. As an artist, the goal is to identify “your” sound and discover the instrument that lets you be yourself. The P-bass, while being one of the earliest of time-tested electric bass designs, of course has plenty of vintage merit and is still a first choice for a lot of modern music from metal to R&B. The PB5 Bass Guitar (and its four-string sibling PB4) is Carvin’s answer to the modern day five-string P-Bass and is a hands-down superior option for the session bass player/artist. The PB5 hits the nail on the head by capturing the sound and essence of the classic P-bass. However, with the entire menu of options available for customization, the discerning bass player can choose different wood combinations and electronics configurations to make the instrument even more versatile than the classic. When customizing our PB5 we decided to push the boundaries by specifying more exotic wood combinations and by adding the active electronics and additional pickup option to really run it through its paces and maximize its potential as a professional instrument. The PB5 passed with flying colors both live and recorded, and well exceeded our expectations. Given its structure and playability, there are no limitations to any playing style on this instrument whether you are flying through a flurry of fleeting notes, slapping, tapping, kerparpling (new technique utilizing ear lobes and elbows) or laying into a classic R&B style groove. The construction of the PB5 was top notch and the attention to detail was superior. While our test bass was pretty much maxed out with exotic wood options and electronics, the price was still well within reach of the custom bass market. However, if you are in the market for a classic P-style bass without all the bells and whistles, you can simply order a PB5 with standard options and be the proud owner of a superior quality, American-made bass for under $1,000. Once again, Carvin has sent us an amazing instrument, and we’re not going to send it back. Part of the anticipation and thrill of ordering the “test” PB5 bass through the Carvin website was the ability to choose from many custom options ranging from wood types to the pickup and electronics configuration. Our unique bass creation arrived in a semi-rigid Carvin soft case. 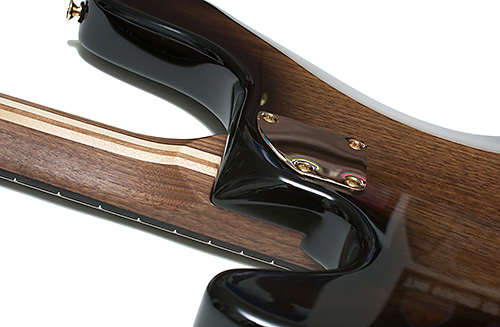 Just like the P-Basses of old, the PB5 neck is a bolt on configuration with the traditional 34” scale. Although the standard option is an Eastern hardrock maple neck with a rosewood fingerboard, we chose to test the boundaries with a neck made from a five-piece walnut/maple sandwich with a satin finish and an ebony fingerboard. The fingerboard radius is a comfortable 14” standard. 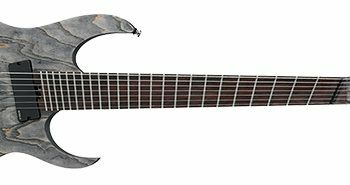 Carvin rounded out the neck’s functionality features of this masterpiece with twenty-two well appointed and dressed medium jumbo frets, an ivory Graph Tech Tusq nut and their own gold premium 20:1 ratio tuning machines. To add a touch of artistic class, the mother of pearl block inlays, Claro Walnut headstock veneer and gold “Carvin” logo were just icing on the cake. The neck joint heel was nicely sculpted where it was bolted to the body. The standard body option is alder, but again we pushed those boundaries and opted for a walnut body with a book-matched Claro Walnut top (conveniently matching the headstock veneer). The glossy lacquer finish gave depth to the detail in the highly figured walnut and the “blackburst” option made the finish even more dramatic. The white pearloid pick-guard pulls the bass back to a more vintage look and the heavy duty gold plated zinc Carvin adjustable bridge and gold/mother of pearl knobs tied the whole visual presentation together. The installed bridge is Carvin’s cast bridge, which is adjustable three ways: saddle side adjustment, string height and intonation. The bridge allows for both bridge and thru-body anchoring. The PB5 was set up with the thru-body configuration.The PB5 comes standard with the very recognizable P-Bass style “split-P” SCP Alnico split coil pick-up with passive electronics. Our test model was equipped with an added “Music-Man style” exposed coil humbucker in the bridge position with an added 18V active/passive preamp system. The controls are split-P volume, bridge humbucker volume, passive tone with push/pull active switch and dual concentric active bass/treble boost/cut. Upon opening its case, we were all very impressed with the beauty and detail of this instrument. Visually, every feature fit together with style like a custom-made tuxedo with gold cufflinks, gold buttons and wing tip shoes. With the first pluck of the strings, the bass was curiously in-tune. Then with a quick exploration of the notes throughout the range of the neck, the action was perfect. I would have expected the need for some adjustment from the trip all the way from the West coast to New York in the dead of winter. Sure enough, I measured the string clearance at the 22nd fret and it was just under the prescribed and specified 3/32” and the intonation was dead on as well. The fretwork was impeccable with well-polished surfaces and no sharp fret ends.The comfort and playability of our PB5 was top notch from the open strings to the upper register. The neck thickness was comfortable, which clearly did not have that “bassball bat” feel of some vintage basses and the string spacing allowed plenty of room for any style. The asymmetrical unique looking sculpted heel is a really nice touch and definitely facilitated access when reaching for the higher notes on the neck. The bass is a little on the heavy side, but that we were sure was a result of our wood choices (walnut can be quite dense). In a seated position without a strap there was minimal “neck dive”. Standing up with a strap, the bass balanced perfectly in comfortable playing position.Hardware is a very important factor in the sound, sustain and stability of any instrument. 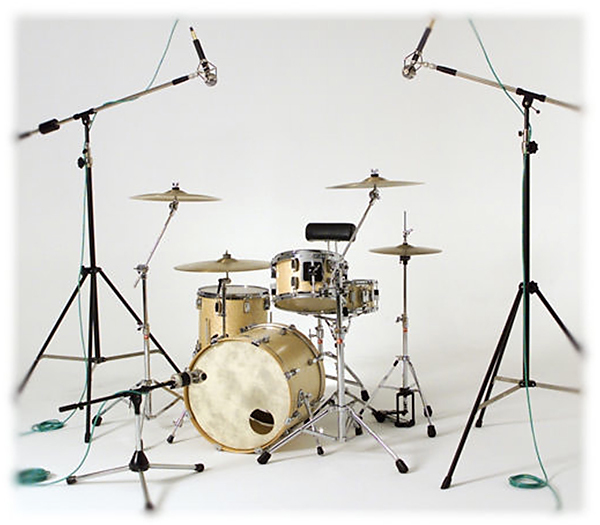 The 20:1 ratio tuning machines were smooth, responsive and solid. The bridge was quite impressive in form, fit and function with its solid feel and clean edges. All the adjustability points were easily accessible and although we did not replace the strings, we did loosen a few strings to identify the smooth break angle of the strings over the bridge and through the body. If the break angle is too sharp or steep, it can cause premature string breakage and it can make changing strings a not so pleasurable experience.The control knob layout was comfortable but not so intuitive at first. 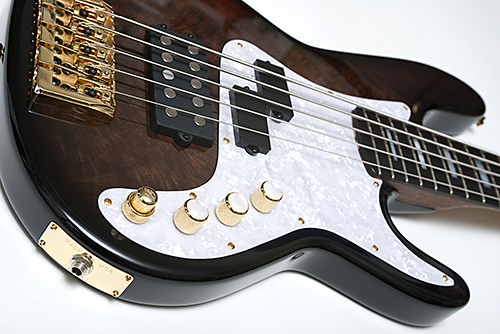 Again, the standard configuration is with the single P-bass pickup with two knob passive volume and tone control. For extra sound diversity (described in the next section) we added the second pickup with additional active electronics. The knobs were mounted in line to the pick-guard nicely following its contour. Each pickup had it’s own dedicated volume knob, which is a common configuration but not necessarily everyone’s preference since it necessitates that you turn both knobs down at the same time to achieve a lower volume. The first two volume knobs control the P-pickup and humbucker consecutively. The third knob is the passive tone knob, which also has an integrated push/pull switch to go from active to passive mode. 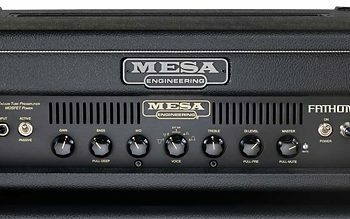 In the pushed in position, the bass was in active mode, which engages the active EQ controlled by the concentric stacked fourth knob (bass and treble boost/cut). 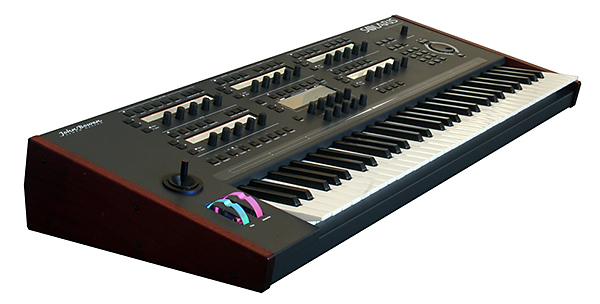 The confusing thing at first was that even in active mode the passive tone knob still effects the sound, but after getting used to it we found it to be very useful to further sculpt the sound of the bass. For our sound test, we set the PB5 loose in both the amplified and recording environment. We first tested this bass in passive mode in the natural vintage P-Bass habitat: through a 1968 Ampeg B15N. While the amplifier was on it’s own a bit noisy, the PB5 added no noticeable additional noise. The sound of the bass had a nice round bottom end with well-defined mids and the highs were crisp and not too harsh. Rolling back the passive tone a touch, gave it that natural mildly compressed P-Bass thrum. The spirits of R&B past definitely came through with a strong presence. We did an A/B comparison with a 79 Fender P-Bass and the PB5 had a slightly higher output with a bit more definition. You could also hear a bit more noise content with the Fender. We then switched to the humbucker in passive mode. The humbucker emitted that familiar MusicMan Sting-Ray like flair but without the high-end crack (of course due to the passive mode). The magic occurred when we combined the two pickups at maximum volume with the passive tone all the way up. While maintaining a full low end, the mid range rounded out and the highs got a bit sweeter. It was a great voice for straight up rock or R&B bass lines, funk, soul, articulate solos, etc. So, just in the passive mode there were three fundamental voices very pleasant to the ears. We then plugged the PB5 into a few more modern amplifiers: Orange Bass Terror 500 and Aguilar Tone Hammer 500. With both amplifiers, we kept the amplifier EQs flat and ran through every bass setting and style possible. In both active and passive modes this bass performed! In active mode with a slight treble and bass boost, the split-P setting sounded like a P-Bass on steroids, and with a bit of gain on the Bass Terror, we got that gut wrenching rock n’ roll tone. In active mode, the humbucker pierced like it’s MusicMan predecessor with both bass and treble boosted. Again, the combination of the two pickups created a synergistic voice that could stand up, sit down and roll over in any band situation. Rolling the passive tone back with the active bass boosted and the active treble cut created a dub sound with just a hint of definition. Even in active mode, the electronics were quiet. The PB5 comes with a nicely detailed one-sheet maintenance and adjustment guide outlining truss rod adjustment, bridge adjustment, pickup height adjustment, tuning machine adjustment, stringing instructions, intonation adjustment and cleaning. It would have helped to include a section on the electronics. It took us a bit to hash out the passive tone/active push pull knob. The on-line ordering process is very user friendly. 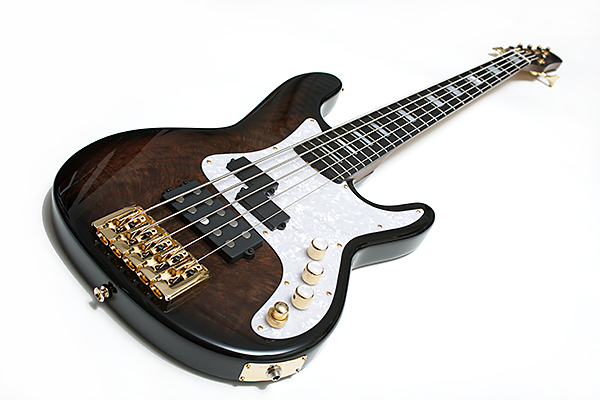 The web-order site runs through all of the optional variations to build your custom bass. You can also easily make changes on the fly so you can check comparisons in price. Once the process is complete, you are given the summary of your potential bass with the bottom line price. 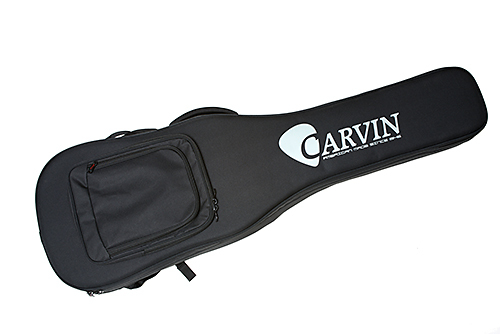 Carvin gives a five-year warranty on all custom instruments and they have a ten-day return policy to make sure you really love your instrument once you receive it. Directly taken from the Carvin catalog, the PB5 with all standard options (MSRP $1,949) sells for approximately $939 including the case. This is a ridiculously great price for a pro-level, custom-made-in-the-USA bass—and we mean that in the most sincere way possible. 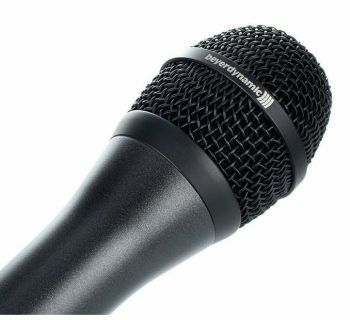 For our test PB5 with most of the high-end upgrades, the price came to just $1,658. This, too, is a steal for any boutique, custom-shop instrument. Carvin has been manufacturing instruments and amplifiers in The USA since the 1940’s and been primarily a mail order operation since the 1970’s. While for many it may be difficult to get over the concept of not being able to play an instrument before purchasing it, Carvin stands by its money back ten-day from receipt of instrument return policy. With the changing economy and technology advances there are more and more musical instrument businesses closing or restructuring to become internet based with on-line mail ordering. So now it seems that “Maybe Carvin has been ahead of its time all along?” The fact that all sales are direct allows them to keep their prices extremely competitive. John Montalbano, Writer (Bass), is an in-demand session bassist and composer from New York City with numerous CD, television and film credits, as well as a member of the indie rock trio, My World. Contact him at john@myworldmusic.com.